Netflix’s supernatural thriller, “Stranger Things” returns to “Halloween Horror Nights” 2019 at Universal Orlando Resort, debuting all-new mazes inspired by seasons 2 and 3 of the critically-acclaimed series. The maze will also parallel the hit show as it leaps forward to 1985, taking guests on a terrifying excursion through portions of “Stranger Things 3,” which begins streaming July 4 on Netflix. As with the previous mazes, Universal Orlando Resort is partnering with Netflix and the creators and executive producers of “Stranger Things” to create authentic representations of the blockbuster series. “Halloween Horror Nights” begins Friday, September 6 in Orlando. Additional details about the events will be revealed soon. Limited time ticket offers and vacation packages for Universal Orlando’s Halloween Horror Nights are on sale now. 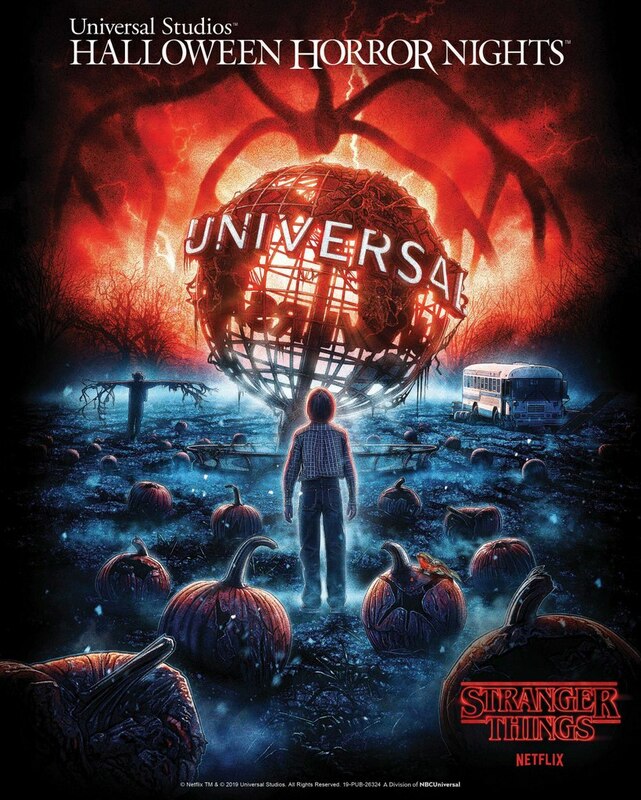 For more information about “Halloween Horror Nights” at Universal Orlando Resort, visit www.HalloweenHorrorNights.com.